Two Services: 3:30 p.m. & 6:30 p.m.
Laura Spelman Rockefeller Memorial Carillon, 2:30 p.m. and 5:50 p.m.
Handbells, 3:00 p.m. & 6:00 p.m.
Harp & Organ, 3:25 p.m. & 6:25 p.m.
For more information, call (212) 870-6784. 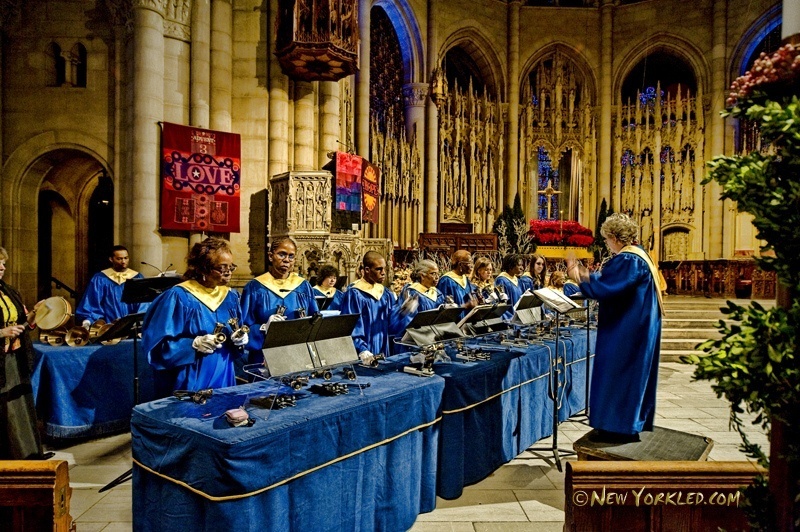 The Candlelight Carol Festival, one of the long-standing Christmas traditions at The Riverside Church, celebrates the beauty of the season through song. This service of music of light combines carillon, organ, harp, and all of the choirs of The Riverside Church and culminates in a ritual sharing of candlelight illuminating the Nave. Music will include traditional songs and selections by composers Lee Hoiby, Amanda Singer, John Rutter and Francis Poulenc. The Festival will also include a rainbow of Christmas music as five choirs—The Riverside Choir, Soloists, and Instrumentalists, The Riverside Chamber Singers, The Riverside Inspirational Choir, The Riverside Ringers and The Riverside Children’s Choir—come together for the program.